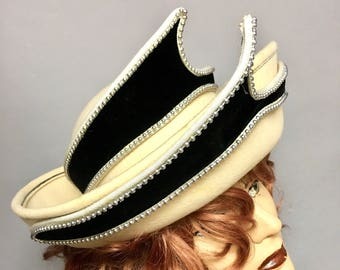 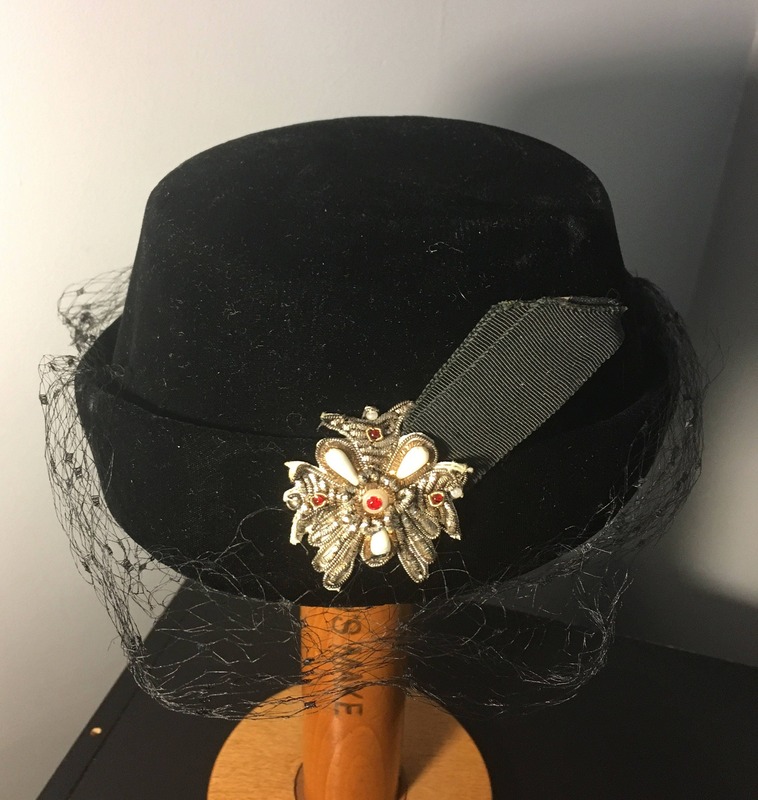 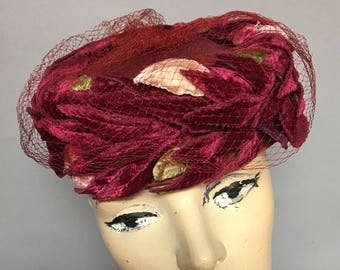 This gorgeous and Smart hat was made with black velvet with black netting and a silver, red and white crest like regal ornament. 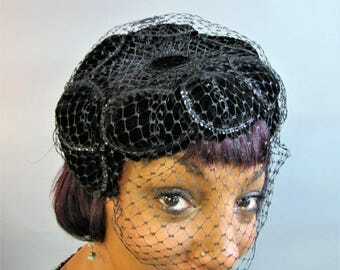 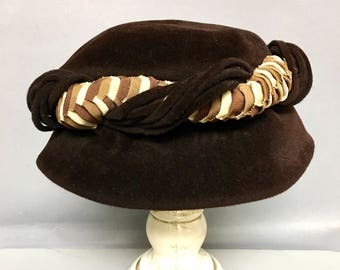 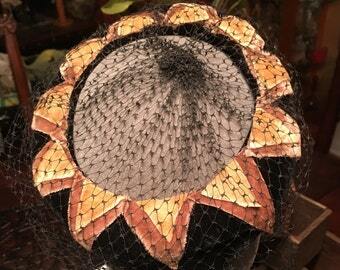 A wonderful vintage 1950's hat that looks best tilted forward. 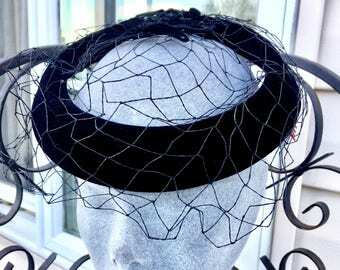 The netting is not intact. 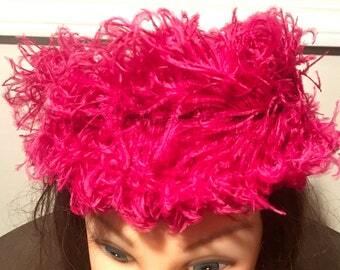 Measures 22 inches circumference.